Many people nowadays decide to have a tattoo and within it incorporate a symbol, which to them deems fitting to their persona, has a meaning within their life or decide to have something representing a certain period in their life – it being their past, present or future. With regards to myself, all my tattoos have a particular symbol that means something to me; one of which is having a feather with returning crows on my ankle. To me, this symbolizes a return to my roots – somewhere I belong … obviously everyone can have his or her own meaning to this tattoo. 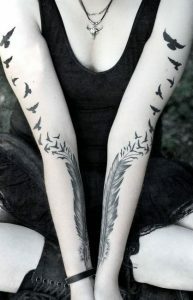 In this post, I shall focus mainly on the meaning of getting a Crow tattoo done (or many crows). 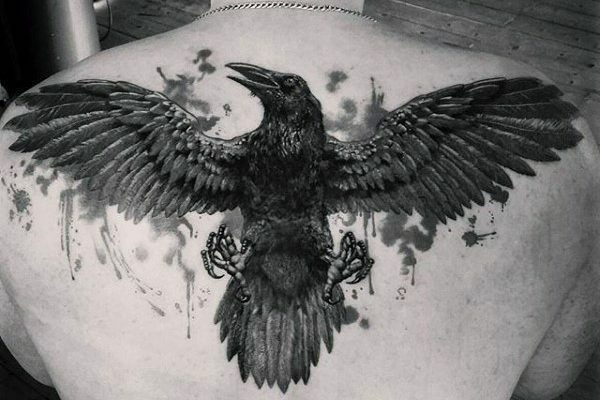 Getting a crow tattoo can mean many things, ranging all the way from the profane to the sublime. 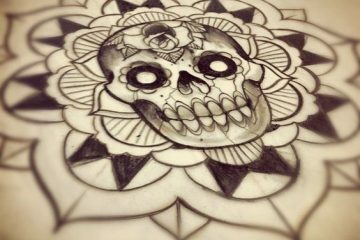 It is at this point that one should enter the tattoo studio with enough knowledge on the tattoo one wants to get done. livering bad news, forbidding it from ever again visiting the Acropolis, and turning it from a white bird to black. The crow, as an animal, has made its presence well known; where to the ancient Celts, the crow was an omen of death and conflict, in England, seeing a solitary crow was a warning of ill fortune. Together with this, it is said that when a crow caws three times as it flies over one’s house, portended death. In Ireland, crows biding time in a tree’s branches without nesting, were viewed as souls from Purgatory. On the other hand,encountering a dead crow is considered a sign of good fortune. In the Middle Ages, sorcerers employed the symbol of the crow’s foot to cast death spells, while in Russia, witches were believed to take the shape of crows. However, Chinese and Japanese myths chose to portray the crow as a loving symbol 🙂 One Chinese legend recounts how a crow became a solar symbol – in fact, the crow became the sun itself. As a solar symbol, the crow represents the creative principle. Adding on to this, it is well known that a crow, as an animal is very wise and clever – this in turn should be seen as something positive and as an inspiration. With this regards, northern American cultures saw crows as a spirit guide – messengers of prophets. Crows are also known to have a language and even though its sounds like cawing, each noise represents a different meaning. Crows’ intelligence means they can use and make tools. 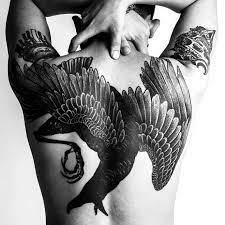 Many people get crow tattoo as a representation of wisdom, future and love. While some might see crows as bad omens, there are others who see crows as a new beginning or a mother’s womb before the light of a new birth. 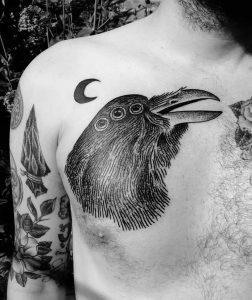 Crow tattoos can have a meaning of change and it is up to the individual’s perception to decide whether their tattoo is to be a good or bad change. In my case, I chose to have six crows entering the ‘home’ feather – this to me represents the death of my past and in turn, since they are returning to their original form and are flying back home, it represents the knowledge of where I belong. thanks for writing this post, everytime im telling someone i’ll get a crow inked, they are like whyyy, now i have something to send them and shut their mouth.